Story: The Autobots Bumblebee, Ratchet, Ironhide and Sideswipe led by Optimus Prime, are back in action, taking on the evil Decepticons, who are determined to avenge their defeat in 2009's Transformers: Revenge of the Fallen. 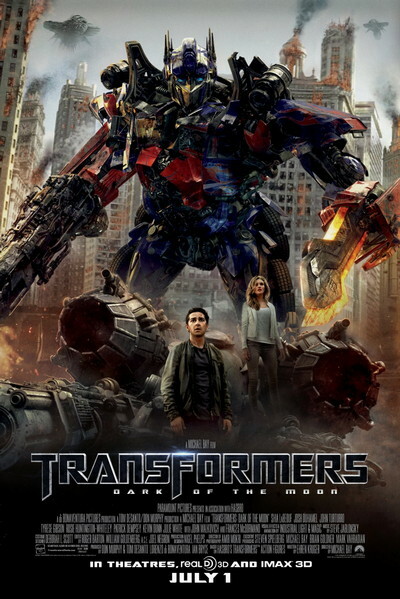 In this new movie, the Autobots and Decepticons become involved in a perilous space race between the U.S. and Russia, and once again human Sam Witwicky has to come to the aid of his robot friends. There's new characters too, including a new villain in the form of Shockwave, a longtime Transformers character who rules Cybertron while the Autobots and Decepticons battle it out on Earth.